Directed by Justin Lin. Produced by J.J. Abrams, Bryan Burk, and Roberto Orci. Written by Simon Pegg and Doug Jung. Release date: July 22, 2016. 2016 has not been a good year for big-budget summer blockbusters. We've had, what, a couple of good ones? And we're already past the midpoint of July! Now we have Star Trek Beyond, the third movie in the rebooted franchise, having to follow two uninspired J.J. Abrams outings. And they got the guy best known for directing four of the seven Fast & Furious movies to do it? Well, that's certainly one way to try to reinvigorate a series. The shocking thing is, at least to an extent, it worked. Star Trek Beyond is the best of the reboot trilogy. 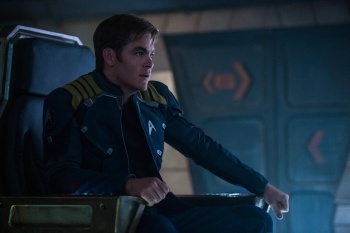 The story follows the crew of the USS Enterprise, a spaceship captained by James T. Kirk (Chris Pine). They head out on a rescue mission into an uncharted territory, are ambushed, and find themselves separated from each other on an unknown planet. With limited resources, they have to figure out a way to (1) locate the rest of the crew, (2) get off the planet, and (3) stop the villain who attacked them, Krall (Idris Elba), from using a new-found weapon to destroy the entirety of the Federation and the millions of lives contained within. Most of the primary crew members find themselves split into pairs. Kirk is with the navigator, Pavel Chekov (Anton Yelchin). 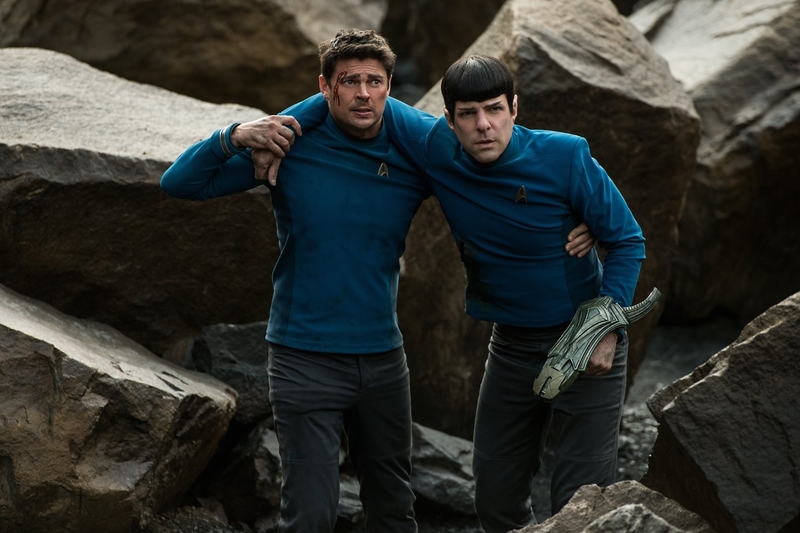 Commander Spock (Zachary Quinto) is with the doctor, Leonard McCoy (Karl Urban), and neither of them is too happy about it. 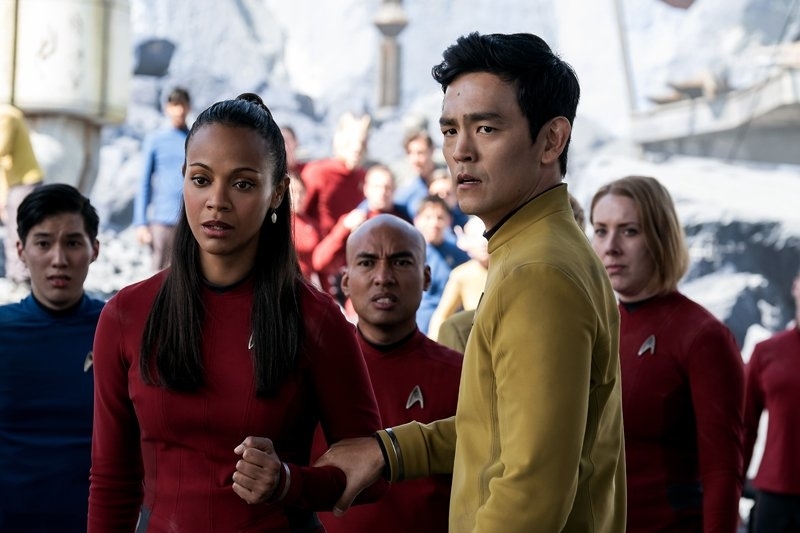 Communications officer Nyota Uhura (Zoe Saldana) and Lieutenant Hikaru Sulu (John Cho) are among those captured by Krall. 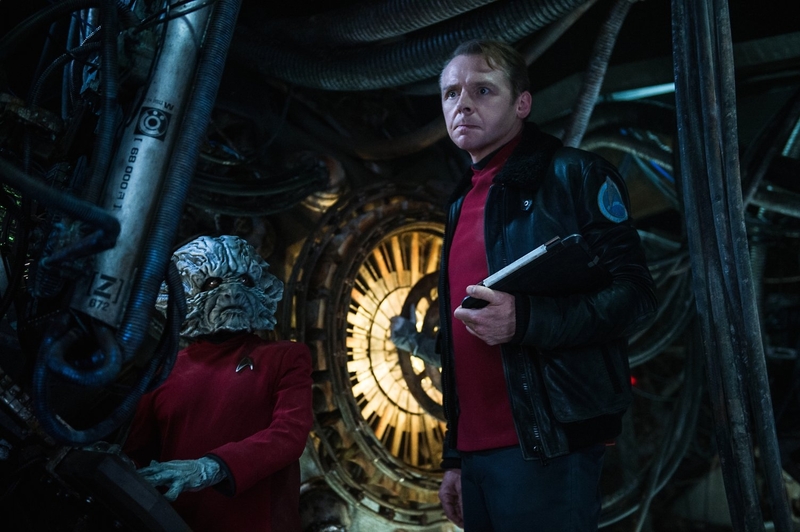 And the engineer, Montgomery Scott (Simon Pegg, who co-wrote the screenplay), finds himself with another stranded character, Jaylah (Sofia Boutella), who has been on the planet for many years, and claims she will help him find his friends if he helps her with something in return. In a lot of ways, this feels like a setup one might use for an episode of the television show. That might be because it works. The two-off pairing means you can have lots of one-on-one interactions, discussions, and growth. You have several immediate and achievable goals. And there are stakes, which we get to witness thanks to the capture of a couple of the key characters. It's effective storytelling, and it works out here. 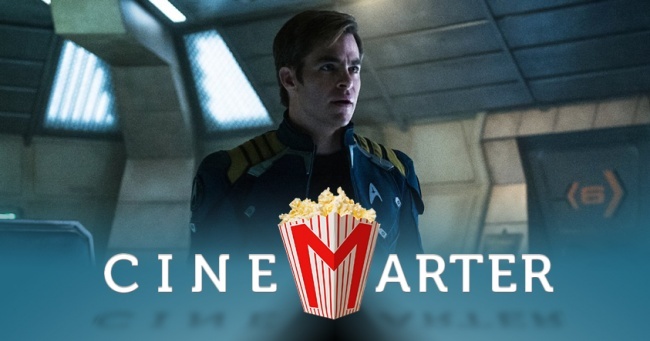 A good Star Trek movie isn't something we've seen in quite a long time, and getting one in the otherwise barren wasteland of Blockbuster Season 2016 is a relief. Now, it also goes on for too long, and what we eventually learn about the villain doesn't make him much of a better character and isn't worth it. He's just another "I'm evil for the sake of it" character, which is too bad. But we're not here for that, right? We want to see the interactions between the various crew members, collective problem solving, some action scenes where they fight various generic baddies, and maybe a couple of well-timed jokes. All of that's here. 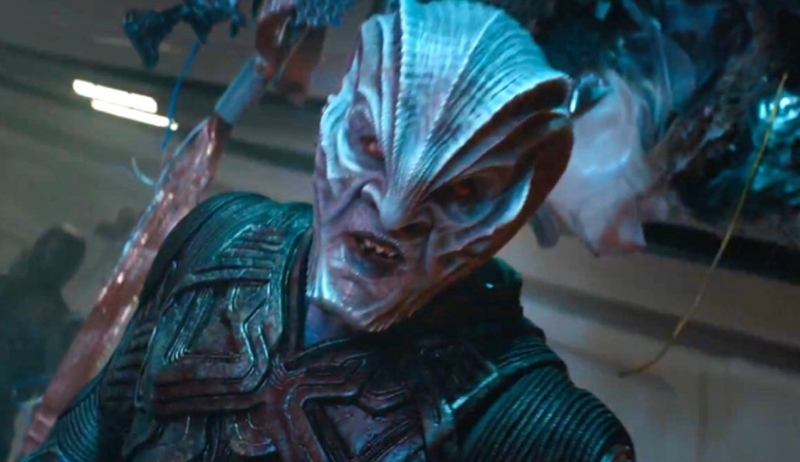 Star Trek Beyond is, first and foremost, pretty fun. It probably helps that, in addition to Justin Lin taking over as director, Roberto Orci and Alex Kurtzman have been removed as screenwriters. That task fell to Simon Pegg and Doug Jung, which made for such a better screenplay. It's smarter and provides a little bit for you to ponder, delivers a couple of laughs, and gives the characters lots to do. It's not going to push any boundaries, and in many ways feels much like a big-screen, feature-length episode of the show. That's what many of the fans want and, as it turns out, it's a pretty good idea for the movie to use. I'm still not sold on Chris Pine as our lead, or as any leading man, but he bothered me less in this film than in the previous ones - like he finally felt comfortable. Zachary Quinto, Anton Yelchin, Zoe Saldana, Simon Pegg, John Cho, and Karl Urban are all varying degrees of good. The revelation is Sofia Boutella, who after this and playing Gazelle in Kingsman needs to be given her own action franchise as soon as possible. As the villain, Idris Elba is menacing but little more. A good Star Trek movie isn't something we've seen in quite a long time, and getting one in the otherwise barren wasteland of Blockbuster Season 2016 is a relief. It's a movie that's heavy on action and special effects, but gives us enough character moments to keep itself balanced. It has a good setup, a strong enough premise, and a plot that, even with a weak villain, is effective. The action is more than passable, the acting is good, and while it might be a little too long, it's rarely dull. Star Trek Beyond works. 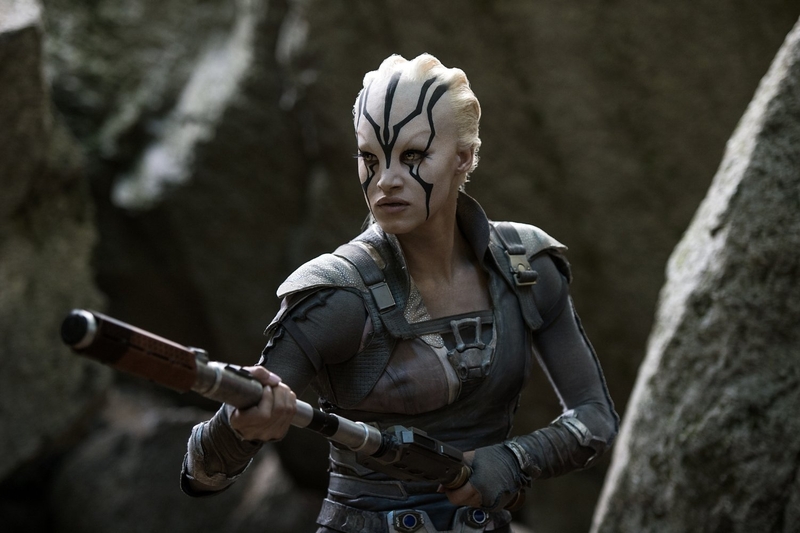 Bottom Line: Star Trek Beyond is a fun blockbuster, and a good Star Trek movie. Recommendation: If you're a fan, you're going already. If you're not? Maybe this one will get you on board.